Lake side view of the residence. Create a comfortable family home where every element appeals to all family members. Work design reviews and approvals around the schedule of an out-of-town client and still meet a fast-track move-in date. 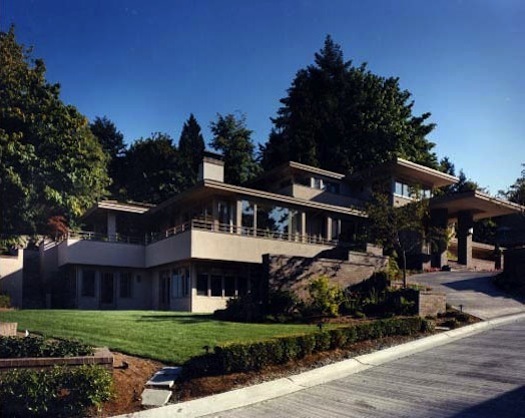 Integrated all elements of the exterior, interiors, and landscaping into a coordinated design. Provided a range of options and recommendations for every detail — such as lighting fixtures, built-in stereo system, kitchen cabinetry, bathroom fixtures, etc. Involved family members in design reviews and selection of materials, systems, and furnishings. Coordinated closely with the client, suppliers, and contractors to make all decisions in time to meet schedule. 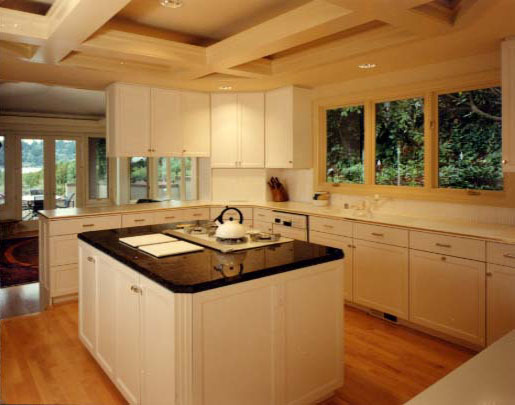 Kitchen featuring solid-surface counters with integral sink and a cooking island topped with granite. 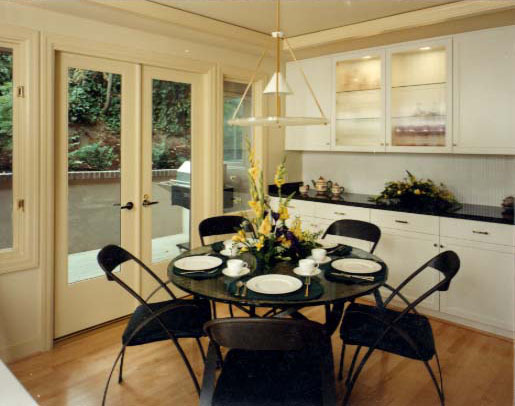 Kitchen dining area with a built-in buffet cabinet and custom table and chairs. 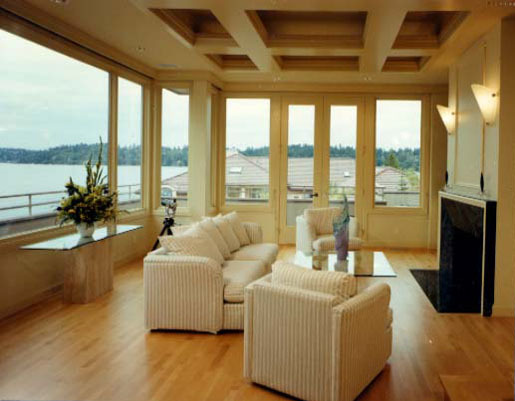 Living room with view of Lake Washington.